Passed away on October 24th, 2017 at the Charles S. Curtis Memorial Hospital in St. Anthony at the age of 57 years. He leaves to mourn with fond and loving memories his partner Michelle; Son Dylan; Stepsons Ryan and Jeff; Grandkids Jade, Autumn, Parker, and Kirsty; Sisters Caroline, Vivian, Yvonne (Lambert); Brothers George (Judy), Stephen (Rachel), Cornelious; Mother and Father in law Pat and Angela Walsh; Sisters and Brothers in Law as well as extended family and friends. Whyman was predeceased by his Father and Mother Hubert and Jane Williams. Visitation took place from St. Mary’s Anglican Church in Black Duck Cove from where the funeral was held on October 27th, 2017 at 2:00 pm with Rev. Katie Flynn officiating. Interment followed in the St. Mary’s Anglican Cemetery. 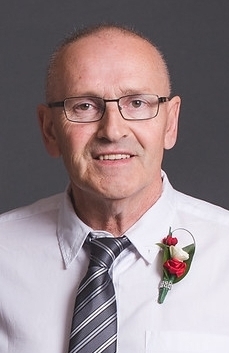 Funeral arrangements entrusted to Kerry M. Fillatre’s Funeral Home, St Anthony and Roddickton, Lee Nippard Funeral Director.